Imagine winning the lottery but having to keep it a secret. Then 12 years later, someone says it’s OK to tell everyone. For Travel Tags Inc., a maker of things printed on plastic like gift cards for restaurants and retailers, that day came on Aug. 16, when Apple Inc. granted permission for the company to tell others that it is a customer. Since 2006, Travel Tags’ factory in Inver Grove Heights has printed hundreds of millions of gift cards for Apple’s iTunes and App Store services and its Apple Store retail outlets. In revealing the relationship, the companies also disclosed that Apple has helped drive numerous innovations in the printing and packaging of such cards, work that has benefited other customers of Travel Tags. Apple, the maker of iPhones, Macs and other tech devices that last month became the first U.S. company to be worth $1 trillion in market value, is known to customers as a producer of well-designed, high-priced, high-value items. But to the businesses it works with, Apple is known as a demanding partner that values innovation, quality, speed — and silence. Apple rarely confirms the identities of its suppliers and vendors, even firms from which it buys billions of dollars of parts annually. Tech repair shops, investment firms and geek websites routinely rip apart Apple products to identify who made the chips, displays and other parts. He said he could recall Apple confirming relationships with only a handful of other companies, including Corning, the glass maker for flat screens, and 3M, which makes a film that sharpens the display of those screens. Travel Tags — which is owned by Mankato businessman Glen Taylor, who also owns the Star Tribune — for years has wanted to disclose the relationship to buff its reputation as a leader in gift-card production. “We had gone through an interview process and a review board to see if we were worthy,” said Al Rausch, president of Travel Tags. The company affixes more than 1.2 million of Apple’s gift cards in multipacks on four lines dedicated to Apple each workday. With more than a 25 percent market share in North America, Travel Tags is one of the top three gift-card providers in the world with more than 300 clients. It faces plenty of competition. The Twin Cities alone is home to several other large gift-card designers, printers and distributors, including Archway Marketing in Rogers, CPI Card Group in Roseville and Diamond Graphics in Ramsey. For Apple, the decision to disclose the relationship with Travel Tags is part of an effort to describe more of its impact on the U.S. economy. While the company generates more than $200 billion a year in annual revenue and employs tens of thousands, mainly in California and Texas, it relies on contractors in Asia for most of its product manufacturing and assembly. Apple will spend more than $55 billion with 9,000 domestic suppliers this year, supporting hundreds of thousands of jobs. In Minnesota, Apple said it has relationships with about 200 suppliers and partners who employ about 34,000 people. Even in disclosing the work with Travel Tags, Apple’s penchant for control was on display. The company sent two people from its Silicon Valley headquarters to sit in on interviews with Travel Tags executives. Financial details could not be disclosed, they said. And Apple asked to control photography that accompanied this story. The care that goes into gift-card design is no different from the box for a new iPhone or MacBook that enhances the consumer’s experience, said Jodi Belden, an account executive at Travel Tags. “The printing industry has long been considered a craft, but working with Apple forced us to bring more science into it,” she said. After the partnership began, Apple switched its gift-card material from PVC plastic to recyclable paper. It also wanted to add gift card multipacks of three, four or five. That enhancement led Travel Tags to build a special packaging machine with help from Apple’s engineers and parts and equipment from 11 manufacturers. 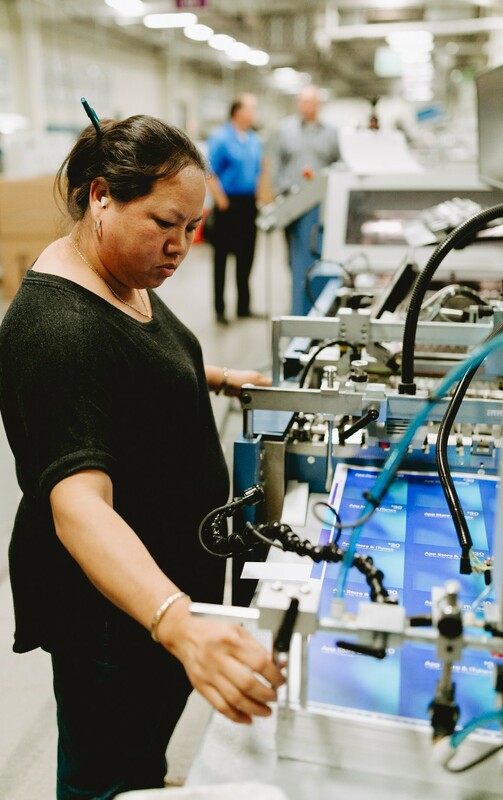 “Together our engineers have implemented new manufacturing processes that have allowed the company to grow its business and expand its workforce in Inver Grove Heights,” Jeff Williams, chief operating officer at Apple, said in a statement. Apple strives to stand out at the gift-card kiosks in stores. Belden said that meeting Apple’s standards for quality and aesthetics initially proved difficult for Travel Tags. “A lot of conversations started with ‘That’s not possible,’ ” she said. Apple wanted to sell gift cards in multipacks as well as in single packs. It also wanted the cards perfectly spaced on the cardboard backing and to be the same width across the cardboard backing. While that may sound simple, it took months of collaboration with Apple’s engineers to build a multipack assembly machine. Apple also developed an envelope for single gift cards that was designed so a perforated edge would not show on the envelope once it was removed from the packaging. Even the glue that keeps the gift card stuck to its backing came under intense scrutiny. Apple didn’t want the glue to stretch like a rubber band when the card is removed. “It’s a special glue that affixes the card but leaves no sticky residue,” Rausch said. After the card is removed from its backing, the consumer may notice that the “soft touch” feel is unlike any other gift card made from recycled paper. “It took weeks of qualification to get it right. It’s so the consumer can have that type of experience,” Rausch said. Late summer and early fall is high season for gift-card manufacturers as they ramp up to supply gift cards for the holidays. As many as 200 additional employees may be added to Travel Tags’ core staff of 415. With the Twin Cities’ low unemployment, the company has expanded its use of robotics to reduce dependency on hard-to-find temp workers. It’s unclear whether disclosure of the Apple relationship will yield a bump in business for Travel Tags, but Rausch said it’s possible. “It helps promote our brand to be associated with one of the major brands in the world,” he said. For now, there’s a party to be had. “We’re doing a company picnic for employees as recognition of the honor,” Rausch said. Congratulations to Glen Taylor & Deb Taylor Award Recipients! 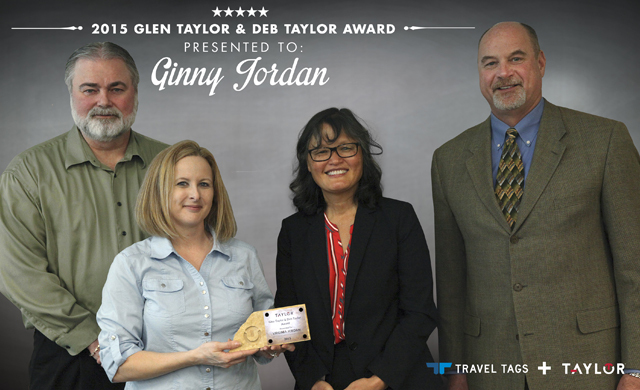 We are pleased to announce that Virginia (Ginny) Jordan, Qualtiy Assurance Manager for Card Fulfillment Services, and Tetyana Opshytosh, Sr. Production Equipment Operator for Western Graphics & Data are both recipients of the 2015 Glen Taylor and Deb Taylor Award! Nominated by their business leaders, these employees have gone above and beyond to contribute exceptional value to their organizations. "Each year we hear of employees across our family of companies who go above and beyond our expectations - and these individuals demonstrate initiative that improves our ability to serve customers, product product, or achieve our goals," shared Deb Taylor. "It is in recognition of those individuals' efforts we have decided to establish these awards." 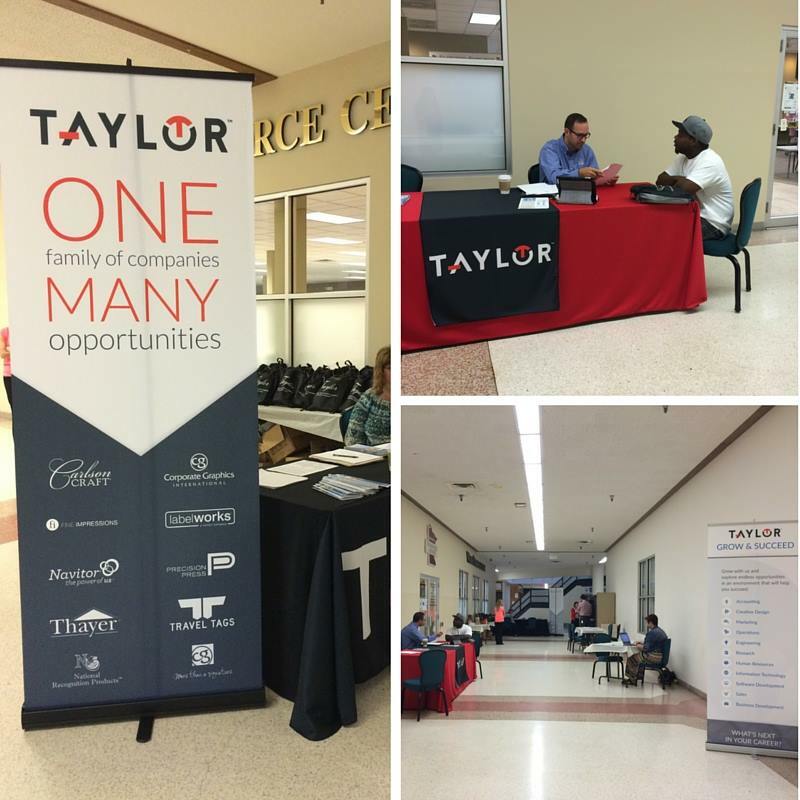 Become Part of the Taylor Corporation Family of Companies! 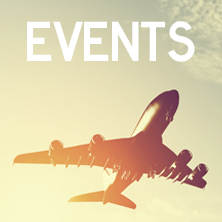 Jobs of all kinds are available at Travel Tags' several locations! Visit our Career Page.